I love the Franciscan Basilica of Santa Croce, every time I go back I have a chance to remind myself of why this is so: from the wonderfully colorful frescoes in the Cappella Maggiore by Agnolo Gaddi to those in the Bardi and Peruzzi chapels by Giotto (which don’t seem to have been painted over 600 years ago) to the inspiring monuments and tombs of some of the greatest Italians of our past – including Michelangelo! The last 10 years have seen lots of renovations and changes within the museum; every visit to Santa Croce just keeps getting better as you can enjoy works you’ve seen before but in a new light, including the new placement of Giotto’s heavily 1966 flood-damaged Crucifix in the Sacristy. Continuing with renovation works, the 15th century Loggia of the Pazzi Chapel designed by Brunelleschi is next in line and truly innovative is the way public support is being called to help raise the remaining funds missing for the project. Yesterday, the Opera di Santa Croce launched a truly unique crowdfunding project called #CrazyforPazzi on Kickstarter, the largest platform for crowdfunding on the Internet today. Anyone can thus pledge any amount over a dollar although there are set amounts that will get you rewards, such as family tickets, lithographs, commemorative medals, private visits to the restoration site and an invitation to the inaugural event for sponsors when restoration is complete. 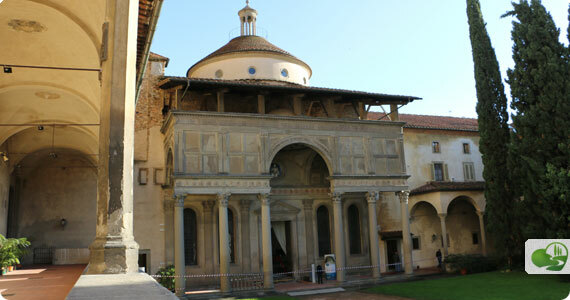 The restoration of the Loggia of the Pazzi Chapel in Santa Croce cannot wait any longer. 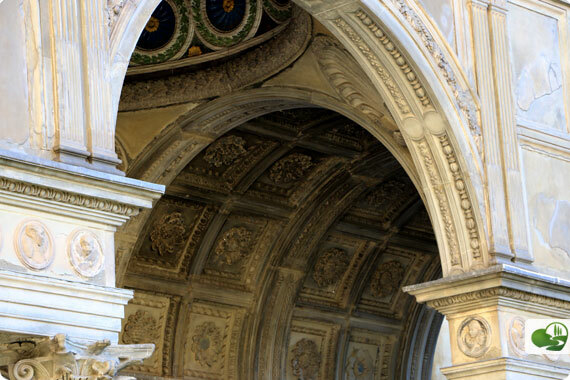 The Opera di Santa Croce has already intervened twice over recent years to ensure safety of visitors from the crumbling pietra serena decorations, removing decorative elements that were in danger of falling. 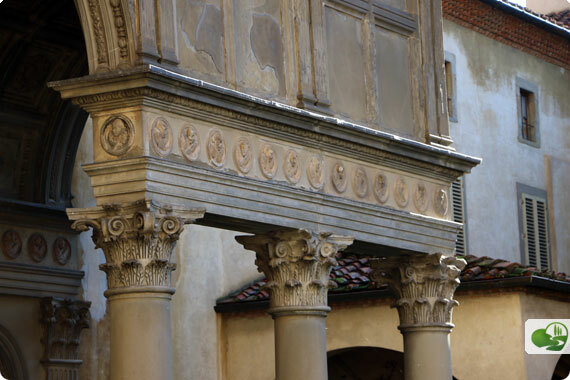 The gray sandstone of which many Renaissance buildings and works were done in Florence tends to age and crumble with time, more so when exposed to the elements as the loggia is with its three open sides. 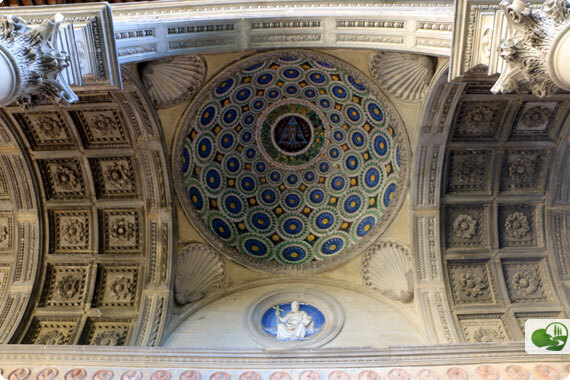 You can help restore the Pazzi Chapel’s loggia! Through Kickstarter, the Opera di Santa Croce is offering anyone and everyone the chance to participate in the project, wherever you are in the world. The ambitious project mirrors another that the Church held in 1860, when the call for donations from the public went to complete the unfinished facade of the church, full of the treasures within but looking “little else than a barn” from the outside, as American art historian and art collector Bernard Berenson wrote at the time (in The Study and Criticism of Italian Art, Vol. 2, 1902). The campaign started yesterday and will run for 33 days: the goal is to reach US$95,000 (which is 50% of the total cost to renovate the loggia). Renovation work will start in January. You can be a part of this project! Go to http://crowdfunding.santacroceopera.it to see the video presentation of the project and pledge any amount you can – the campaign needs to reach the set amount by December 19th to be a success! Join us and be a part of history, as your name will go down in the archives as a donor of the restoration project. If you have any questions, you can tweet them to the Opera di Santa Croce at @santacroceopera using the hashtag #crazyforpazzi. There will be an hour long Twitter chat on November 24th at 4pm EST so that you can ask any questions you might have. If you’ll be in Florence soon, there will be 15 minute guided visits to the loggia and Pazzi Chapel on November 26th from 6:15-7:30pm – just had over to santacroce-nov26.eventbrite.it to sign up. The project is supported by Florentine-based Areas Games and The Florentine, Florence’s English-language local news magazine.